Although these ferocious felines may not make the best house pets, they’re still some of the most impressive creatures found in the wild. 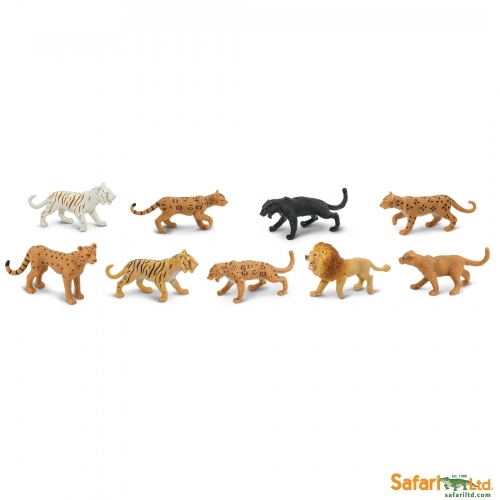 This Toob includes figurines of a lion, tiger, white tiger, jaguar, black jaguar, mountain lion, cheetah, leopard, and an ocelot. 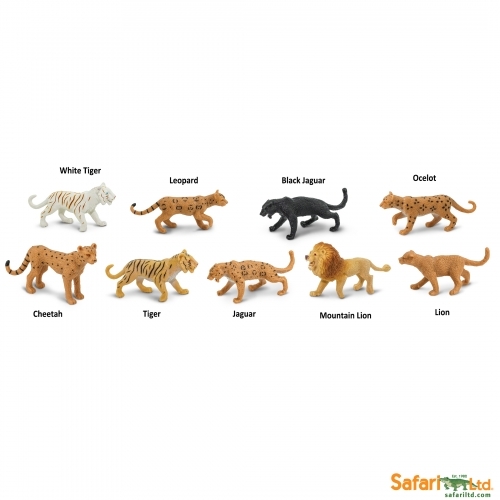 Individually hand painted and professionally sculpted for true to life accuracy, these figurines are excellent for imaginative play, educational purposes, or as additions to a diorama or collection. We know you’ll want to study even the smallest details of these impressive hunters, but it’s probably safest if you keep your distance! 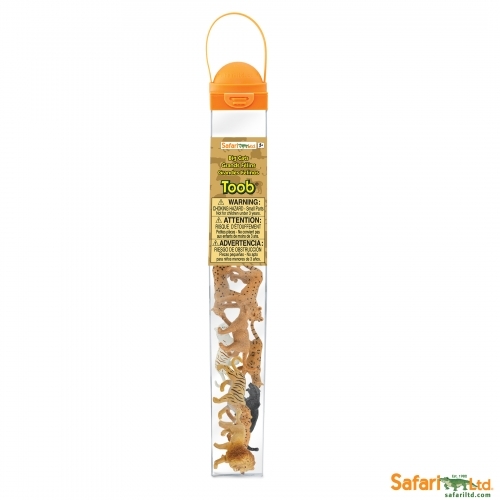 Contains 9 figurines that range from 3.2 to 9.5cm tall. The realism of these models is a top priority, and it’s made sure to capture each cat’s unique coloration, including the white tiger’s distinctive pearlescent fur with golden stripes.